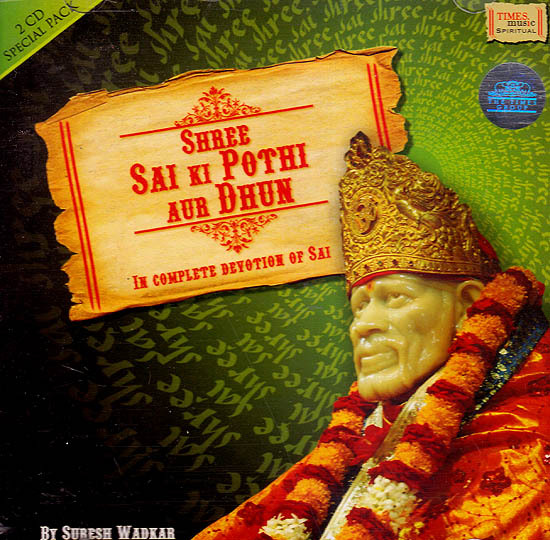 this special 2 CD pack containing ‘Sal Bhajans’ and ‘Sal Charti manas’, Suresh Wadkar pays a tribute to Shri Sai Baba of Shirdi by singing she adaptation and translation of ‘Shri Sal Satcharitra she official biography of Shri Shirdi Saibaba written by hemadpant in Marathi. This is the only biography approved by the Shirdi Sai trust. The album also comprises gyarah vachan the hindi translations of eleven verses narrated by Shri Sai Baba himself and written by Dasganu. The album also includes Shri Sai Gayatri, Aarti and Sia Dhyan Rendered in the soulful voice of Suresh wadkar. Sai Bhajans includes hymns in devotion to Sai Baba. Sai baba was a true symbol of religious harmony, preaching both hindu and muslim philosophies. Baba lived and died as a monk in Shirdi in Maharashtra his follows believed he had divine powers that could cure and uplift. Such is his magnetism that thousand’s visit his shrine everyday even today with the firm belief that Baba’s soul still guides devotees. To take refuge in Sai baba is to embark on a journey to reach the divine oasis of love. Remember Baba every morning with this album that echoes his inspiring life story and surround’s you with his ever alive and ever loving soul. Listen to these 51 verses of Shri Sia Satcharitra thai immortalize Shri Sai baba and get empowered to overcome the obstacles in your daily life. Let he who is believed to have come to serve mankind free you from the clutches of fear indace in you the spirit to fight if.